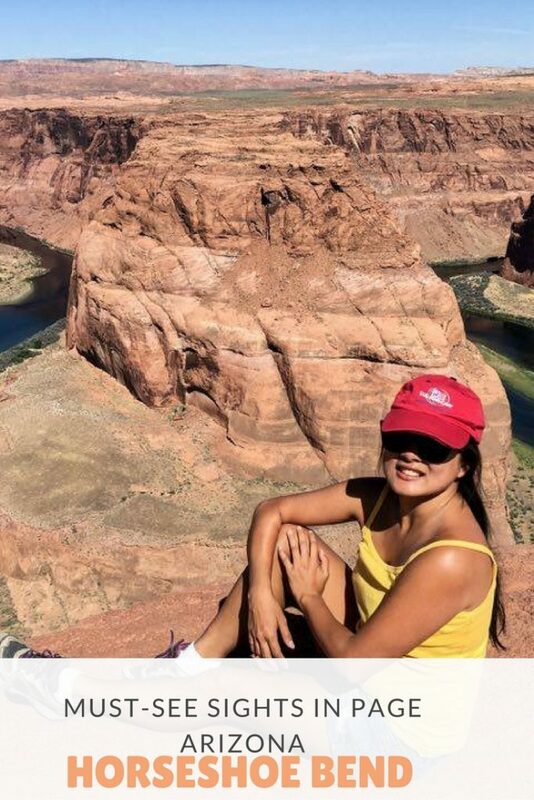 What can I say about my Lower Antelope Canyon tour? In one word it’s “WOW”. The inexplicable and haunting beauty of Antelope Canyon is magnificent. I never believed such place really existed in Arizona. It’s amazing and the view is out of this planet. It is a special place and my trip was worth it. Lower Antelope ROCKS! I personally loved lower. 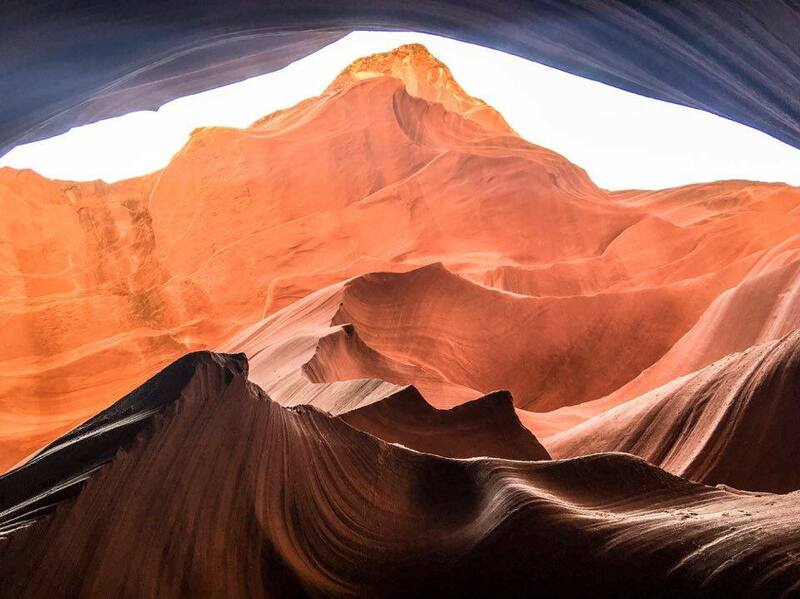 When you are considering or thinking about visiting Antelope Canyon, one of the first things you should know is that there is an upper and lower part of the Antelope Canyon. These Canyons are infact distinctive and one of its kind. The Canyons are naturally formed marvels consisting entirely of Navajo sandstone and formed mostly from flash flooding and erosion. These two canyons attract visitors from all over the world on a daily basis year round non-stop. I have never seen something so distinct like this before and I doubt I will forget it in a hurry. Lower Antelope is definitely worth a trip to visit. Lower ROCKS! I loved lower than the Upper. Don’t get me wrong, the Upper is also cool. It is very easy to walk through the Upper Antelope Canyon, the floor is much levelled and the walls are few feet apart. 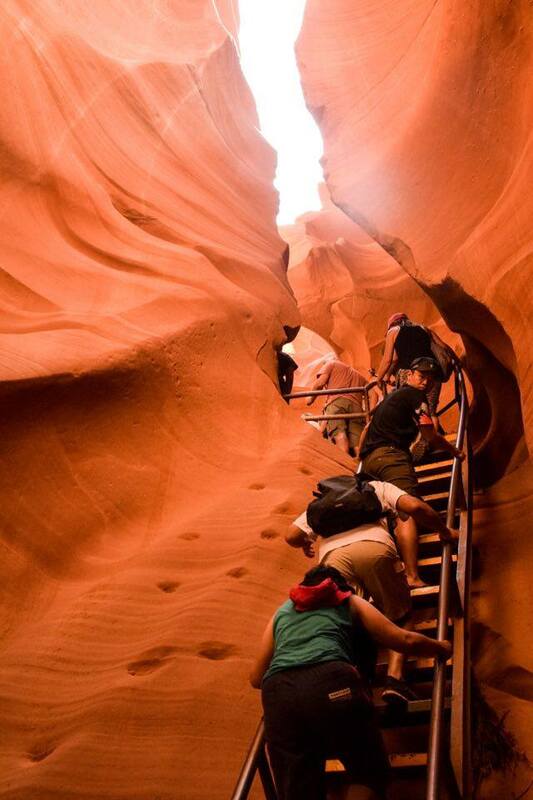 The Lower Antelope Canyon is not as easy but for almost everyone manageable. The Lower entrance is very narrow with some metal stairs. You have to walk the Upper Antelope Canyon back the same way you walked in but at the Lower Antelope Canyon you can go back also through the canyon or use metal stairs close to the lower end to get out of the canyon and walk back along the rim. The Upper Antelope Canyon ends with an opening into a wide wash, while the Lower Antelope Canyon ends at a several feet deep drop-off. Both Antelope Canyons are a haven for majestic view with great photographic opportunity but I suggest visiting them at different day-times. 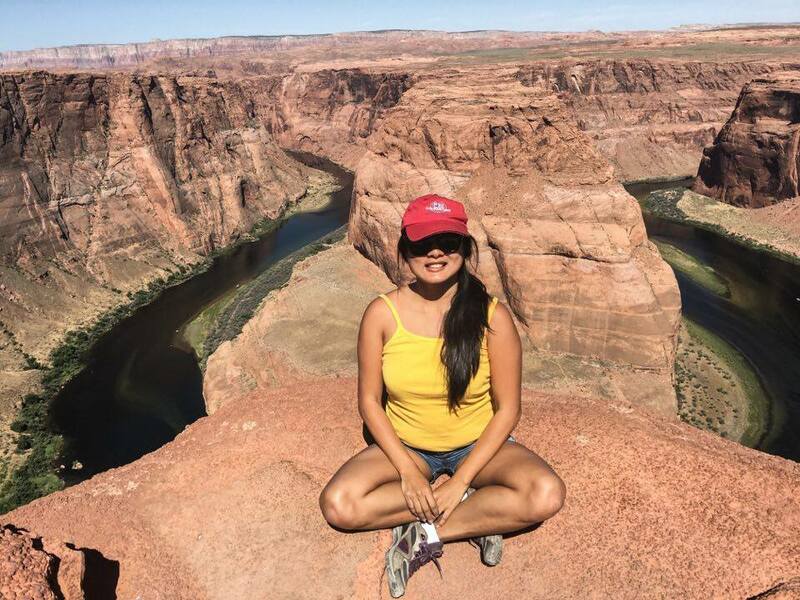 More importantly, all tourists visiting either Lower or Upper canyon are mandatory to do so with a Navajo approved tour guide. My tour was piloted by a very friendly and understanding Navajo Indian native and she told us that Navajo Indians believe that caves are sacred and evil. She explained it as there are a lot of distractions so your mind keeps wandering. She also said that the canyon is sometimes flooded with water so each time she is in the cave; she always prays for safety for herself and everyone else. She took her time to show us various features in the canyon. She also made sure we all had amazing pictures taken at interesting spots in the cave. 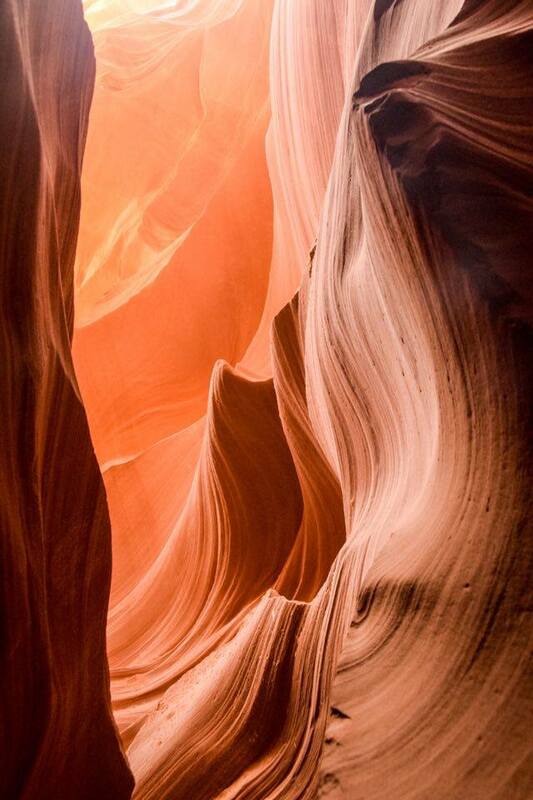 The Lower Antelope Canyon is simply STUNNING! It has been considered as the ninth wonder of the world. Lower Canyon involves climbing up and down ladders so if you can handle that, you should be okay. The canyon is not so deep, that you can even look up and still see the blue sky. Because lower canyon begins with stairs, we were not allowed to take photograph on the stairs because it can get too crowed and also for safety purpose. The tour starts quite busy and crowded, feels like you won’t have your clean photo but after awhile it becomes more spacious and you will have time to explore. My experience was SUPERB. The scenery is unforgettable. The light effect, the red sandstone, climbing down the stairs, gives one the opportunity to experience nature’s beauty! 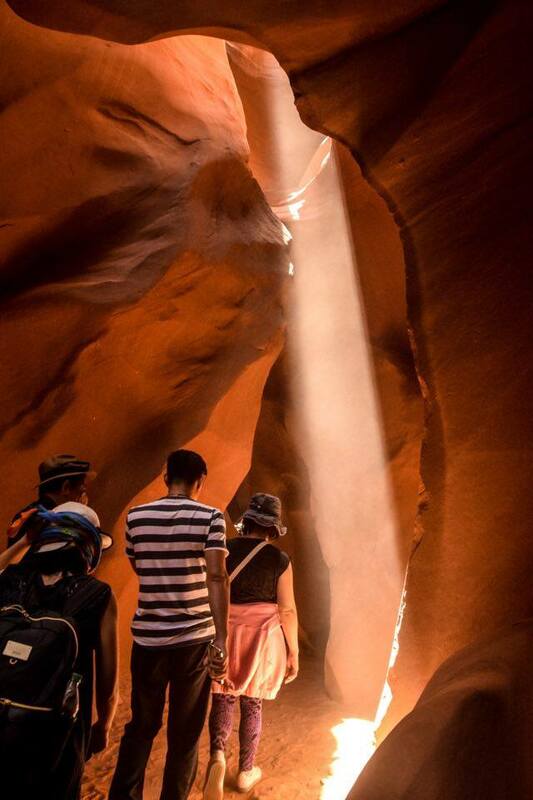 So, peradventure you only prepare to go to Grand Canyon; please endeavour to create time to go to Antelope Canyon. Try the Lower Antelope. It’s just about two hours drive from Grand Canyon. It is a natural landmark so there are no touristy shops, just a sandy car park and the hike to the edge of the bend. It is definitely worth doing, you won’t regret it. Hey!!! And don’t miss the HORSESHOE BEND; Horseshoe Bend is an amazing sightseeing location. 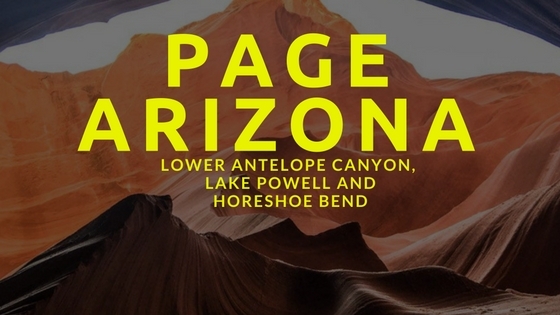 It is about ten minute drive from Antelope Canyon. I highly recommend it. It is a really cool place where you can have a spectacular view of the super green Colorado River. Beautiful is an understatement to describe Horseshoe Bend and the great part about it is that it’s a short hike that is absolutely free (Free of charge of entry and parking), It can be extremely hot and sunny there, so be prepare to wear sunblock and bring along a bottle of water but then it doesn’t require much of a hike at all. Horseshoe Bend will always have a special place in my tender heart (lol). 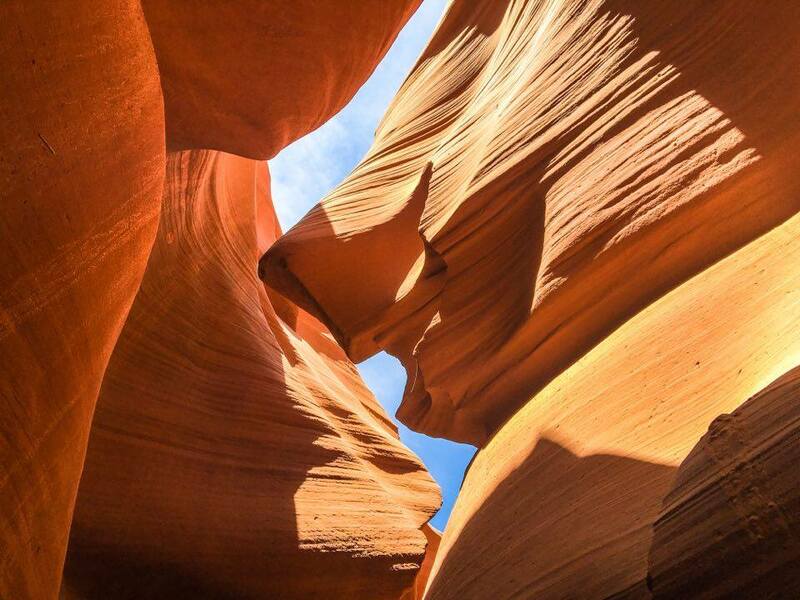 I will without doubt propose it for nature lovers, especially if you go to Antelope Canyon, you won’t be disappointed. Oh before I drop my pen, it will be an incomplete trip if you did not visit the LAKE POWELL. 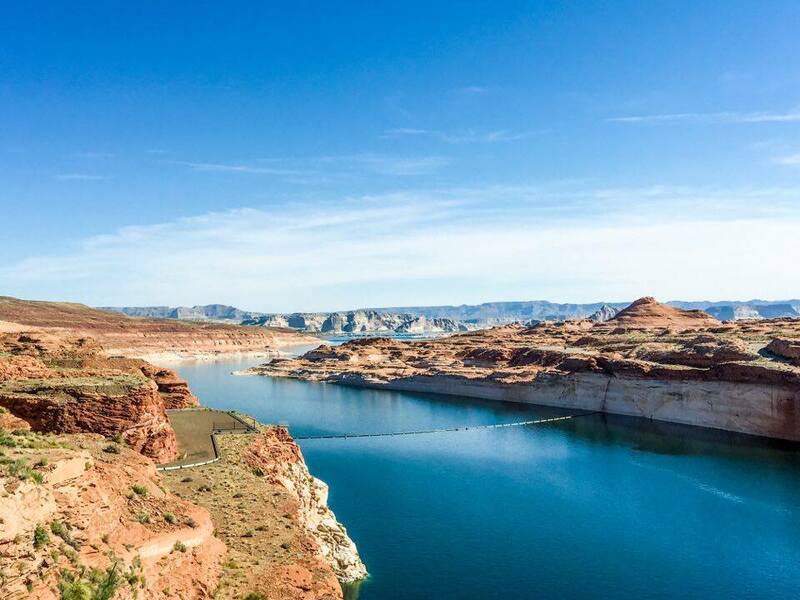 Lake Powell is the ultimate playground. Everyone should see Lake Powell at one point or the other in their lifetime. It is a remote place but with gorgeous views. Did I tell you the lake is HUGE? Hmnn very Huge so you simply have to hire a powerboat or houseboat to explore the second largest man-made lake in the United States! Other activities at the lake include scuba diving, fishing, snorkeling, swimming, water skiing, hiking and many more. These places is a must see attraction. It’s completely charming. It is crowded but if you go with the right outlook then you will love and enjoy it. It will leave you with a very memorable experience. WOW! I agree. Even just looking at the photos, I agree that the Antelope Canyon is a visual treat that I am pretty sure the photos don’t do justice to what you saw with your own eyes. Absolutely beautiful and I am glad you had the opportunity to be there to see and experience. Every time I see pictures of this place it makes me think I’ll one day have to get there! This place is stunning. Everything is so silky smooth. It looks like spices being sold in a market or ice-cream on a cone. Awesome. Wow.. this is amazing! I really really want to visit too… The view! Your pictures are so impressive. The lake is amazing as well. I am definitely keeping this in mind while picking my holiday destination for next year. Oh wow! This almost look surreal and absolutely majestic! I did not know that the canyons represented evil, thats scary. The Canyon is beautiful! Your pictures are incredible! I love hiking and now my heart hurts because it’s so far away from Europe. It’s definitely on my wish list. Lake Powel is also exciting I never saw such a big man-made lake before! Bucket list for sure! It must have been so surreal! AMAZING! Great photographs- I would absolutely love to visit!!! Saving this too for future reference, I plan to see and roundup national parks in UTAH and AZ soon. Thanks for sharing your wonderful experience! I’ve always been at awe looking at these Canyon Photos. As a photographer, I would definitely have an ecstatic feeling just being there and see the lights and shadows especially in the lower canyon. I would definitely take a lot of photos and have them printed and framed on my wall. Right now, going to Arizona is just a dream. Hopefully, one day, I’ll be able to tick it on my bucket list. Everything is picture-perfect! I sure should include Antelope Canyon in my travel bucket list. It must have been such a wonderful experience to have been there and actually be up close to that beautiful beautiful place. Your photos are absolutely spectacular. I had no idea there were two canyons. I think I’d like to see Lower Antelope Canyon the most but both are now on my list. I just came back from this area and did some fun camping and I love Antelope and would have loved to also see the upper canyon, but the lower is already pretty spectacular on their own. I want to visit here! If it looks that amazing in pictures I can’t even imagine what it looks like when you are there. Thanks for all your great tips! If there is a reason why I want to visit the US it’s got to be the national parks like the Antelope Canyon (alright, that and the food trucks… ) , those natural formations are absolutely stunning and all those photos just make you want to hop on the first plane to the US! Hopefully, one day! The antelope canyons are really something out of this world. The natural phenomenon must be one of the most fascinating in the world. The pictures are lovely and bring the place alive. The scenery looks absolutely amazing. 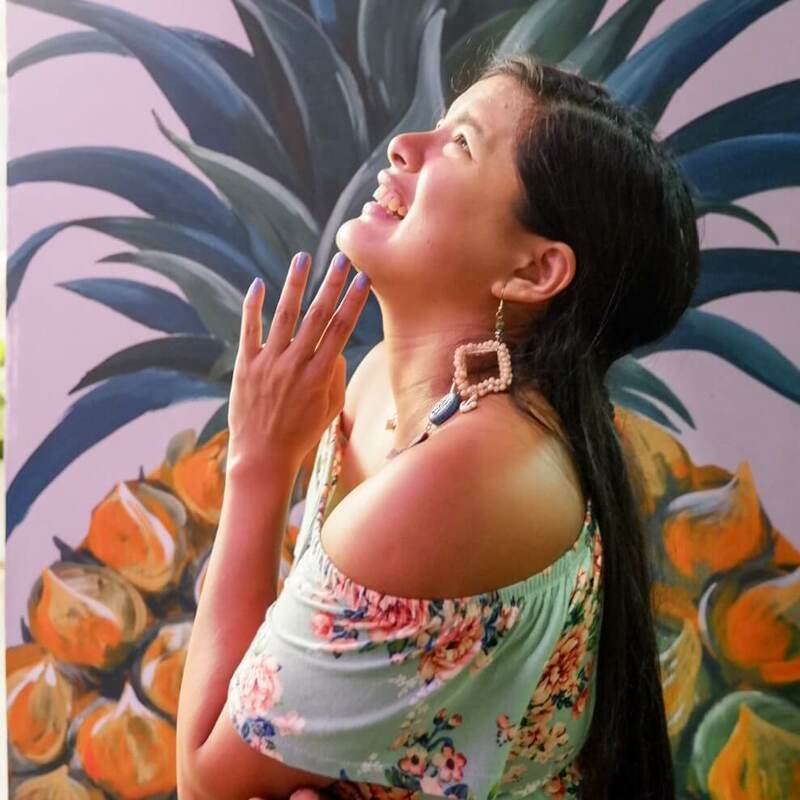 Love the photography, Karla! Antelope Canyon is going straight onto my bucket list. These images are really stunning! Wow! This place looks so cool!! How long do you get to photograph the canyon when you’re on a tour? That’s why I don’t like tours– I always feel rushed. But, here it seems unavoidable, as you mentioned a guide is required. hmmm…. I couldn’t say much because the photos have said it. The view is so breath-taking. I just wish it’s so easy to go there. Haha! Or we could have something like that there in the Philippines. Love it . Can’t believe I was so close last year but just couldn’t make it!! Next time right! 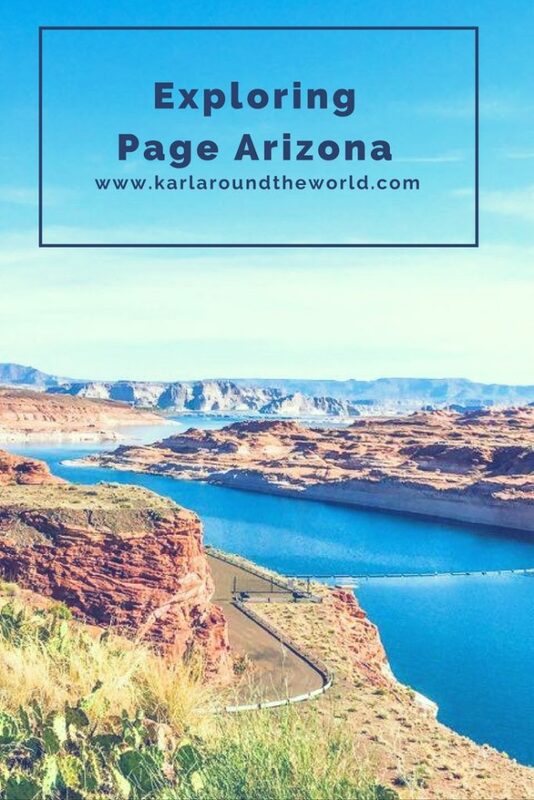 We only visited Upper Antelope Canyon, and while we thought it was gorgeous, it was sooo crowded when we were there that it lost some of its appeal! Wish we would have checked out the lower canyon as well–it sounds pretty amazing! We missed out on Horseshoe bend as well–looks like we need to plan another visit to this area! Wooow , wow , wow ….what a surrounding ! These photos look amazing , what an experience that is for you ! The view and the colours are just gorgeous , I bet , you enjoyed that, big time. WOW indeed! It’s really beautiful there. Hard to believe that landscape is in the USA. It looks like another planet. The view on top and below looks amazing! It looks convenient too since they built stairs and such to get tourist around. One word for this trip: WOW! I like the color of the antelope, perhaps it got its name from the fruit (who knows?). The design of the canyon too, looks stunning! Now THIS is real adventure! I wish I have the “guts” to do these things. It’s really amazing to have this kind of trip once in a while. I wonder how it feels when you’re up there. I don’t think I’ve experienced this before! It would be nice to tour the lower antelope canyon, it’s exciting and it seems like a lot of fun. You’re absolutely right, the Horseshoe Bend is breathtaking! Wow, that is one of my dream adventures! Someday, I want to be there and go hiking with my hubby.